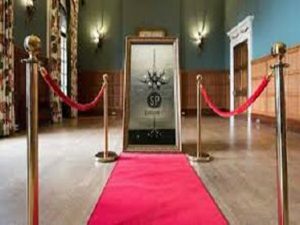 Our Magic Mirror Photo Booth hire looks stunning at any party or wedding with its light up Hollywood picture frame and red carpet and ropes, its a real head turner that will catch your guests attention along with their pictures and memories for you to look back on. 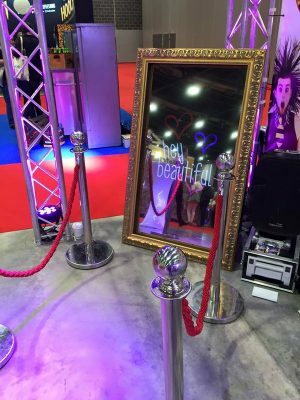 Featuring a new twist on the ever popular selfie pod / mirrors that have come before, this new addition to our range of Hi-Tech equipment is sure to entertain, as well as capture, the fun at your event. The Magic Selfie Mirror not only takes your photos and prints them out instantly, but also features new software that allows the mirror to interact with some fun randomised responses, both verbally and animated on the mirror itself! You can even personalise your photos with a message across all the prints!